This is a fabulous example of an unusual fossil leaf. 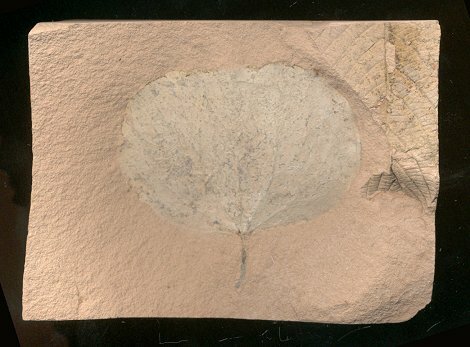 It is a wonderful Zizyphoides flabellum (Katsura Tree) leaf from a new find in the Paleocene of Montana. This large specimen has great round shape - the reticulation and faint venation are clearly seen. The beautiful white color makes for a striking display. The distinct leaf is well centered on the large, rectangular plate of shale. This is a very unusual Katsura Tree leaf from an unusual location in Montana.